When your knee gets bent too far in the opposite or wrong direction, you will have hyperextended your knee. You might feel pain and experience some swelling. 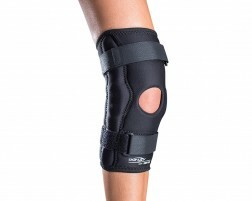 Wearing a knee brace to support your hyperextended knee will help provide the stability you need. Pair a brace up with cold therapy to work on treating mild hyperextension. 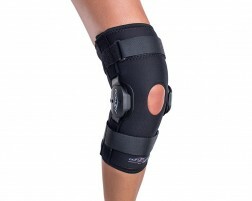 You can also wear a knee brace to help prevent a hyperextended knee. We have a variety of braces ideal for mild to moderate support as well as ones for contact or non-contact sports and daily use. Learn more about knee hyperextension at our knee injury guide. 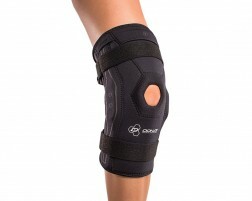 Need help choosing a knee brace for hyperextension? Use our guided tool, Brace Advisor, for recommendations for you based on whether you have a hyperextended knee or are looking to prevent one and based on your level of activity.